"The Wrong Train Order" is a short action film from a serial by the name of "The Hazards of Helen", featuring Helen Gibson. This is episode 58 from a total of 119 weekly one reel films produced by Kalem, showing just how popular this serial was in 1914-1917. The first 48 films starred Helen Holmes, the remaining 71 starred Helen Gibson. They both played heroines that were independent and adventurous, resolving dangerous situations with quick thinking. Their acting was very physical and they performed their often very dangerous stunts. It is believed to be the longest film series in the silent era and one of the longest ever. Very few of the films survive, and we are happy to be able to show this rarity to our esteemed viewers. The film is directed by James Davis from a story by Edward T. Matlack. In this episode everything goes wrong. Helen ends up on the rear observation deck of a runaway express train with the door to the inside closed, with the air-brake of the engine damaged, the engine itself full of steam and inaccessible, and the train speeding ahead on the wrong track. Helen Gibson speaks with a co-worker in "The Wrong Train Order" (1915). 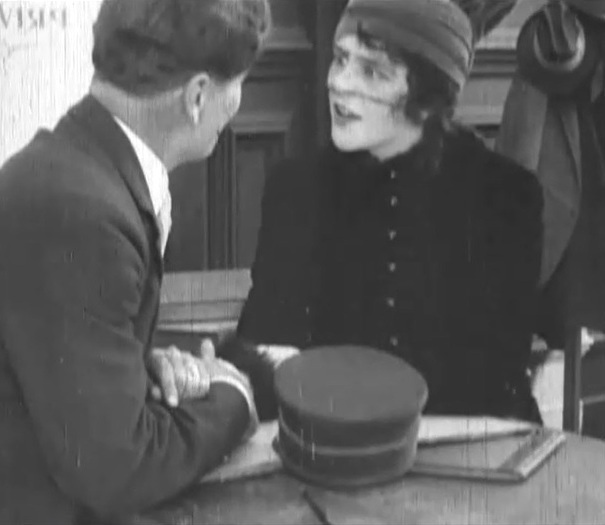 Helen Gibson sports a fashionable hat in "The Wrong Train Order" (1915). 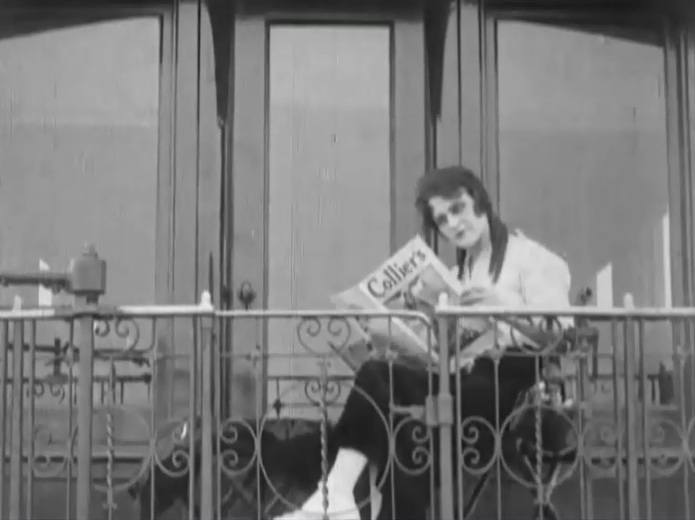 Helen Gibson reads a newspaper in "The Wrong Train Order" (1915). Helen Gibson finds out that there is a serious trouble in "The Wrong Train Order" (1915). 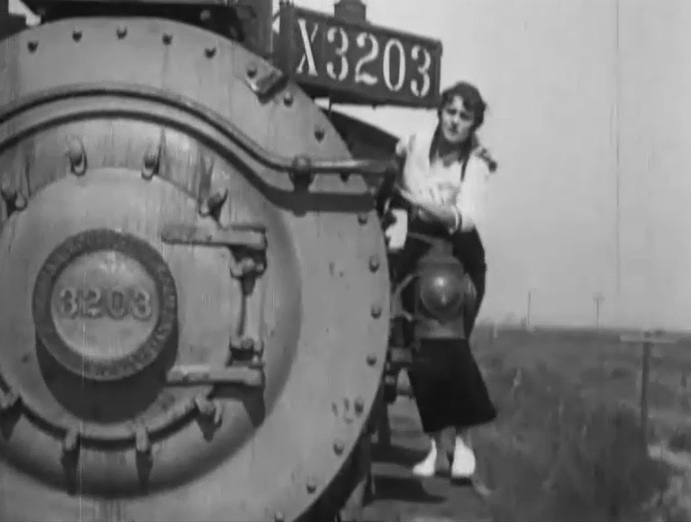 Helen Gibson advances towards the locomotive on top of the speeding train in "The Wrong Train Order" (1915). Helen Gibson sees the engine room full of steam in "The Wrong Train Order" (1915). 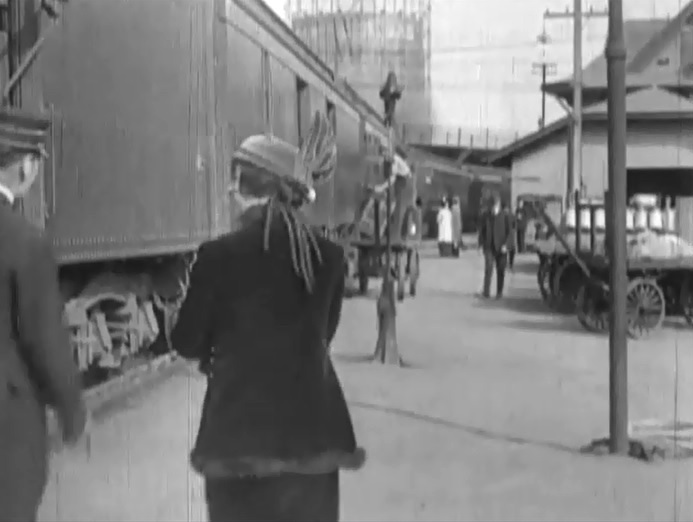 Helen Gibson tries to reach an emergency break in "The Wrong Train Order" (1915). 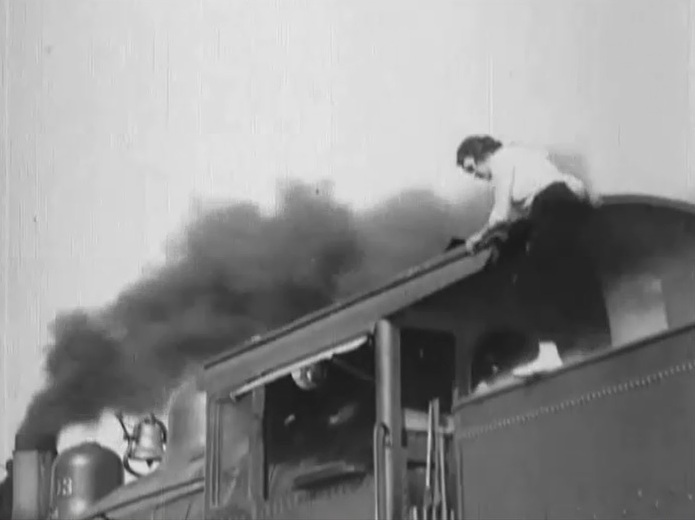 Helen Gibson almost reaches an emergency break in "The Wrong Train Order" (1915).